Panchkula: Dera Sacha Sauda chief Gurmeet Ram Rahim Singh has been given life imprisonment sentence for the murder of journalist Ram Chander Chhattrapati in 2002. 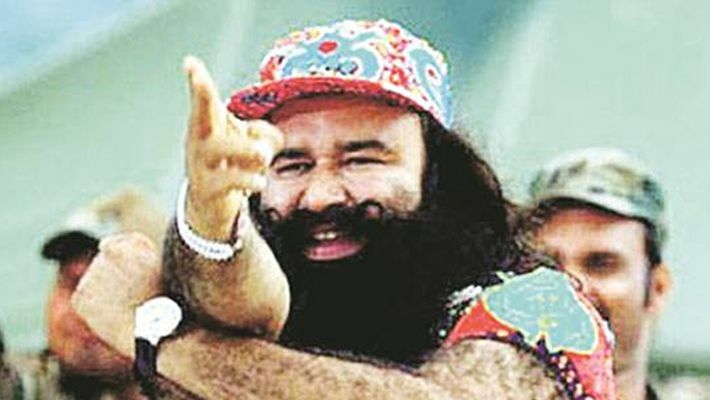 Apart from Ram Rahim, his three aides who were convicted in the case were given the life term by a special court in Haryana's Panchkula. Earlier on Thursday, police imposed Section 144 across the city in view of the pronouncement of quantum of punishment to the Dera chief. Speaking to ANI, Deputy Commissioner of Police (DCP) Kamaldeep Goel on Thursday said: "We have imposed Section 144 across the city. The CBI Special court is in Sector 1. We have also restricted the vehicular movement on all four roads connecting to the court premises." Section 144 of Criminal Procedure Code (CrPC) prohibits assembly of five or more persons, holding of public meetings, and carrying weapons. "Today no one is being allowed to park his vehicle inside the court. Each and every person, entering the court will be frisked. Moreover, we have deployed scores of security personnel near the borders. All the vehicles are being thoroughly checked before entering Panchkula," said Goel. The Dera chief has been found guilty of orchestrating the killing of Chhatrapati, a Sirsa-based journalist on January 11. Chhatrapati was shot at in October 2002 after his newspaper, 'Poora Sach', published an anonymous letter narrating how women were being sexually exploited by the Dera chief at his headquarters in Sirsa. The journalist later succumbed to injuries and a case was registered in 2003. The case was handed over to the CBI in 2006. From Modi jackets to patola weaves, is vibrant Gujarat the new fashion capital?